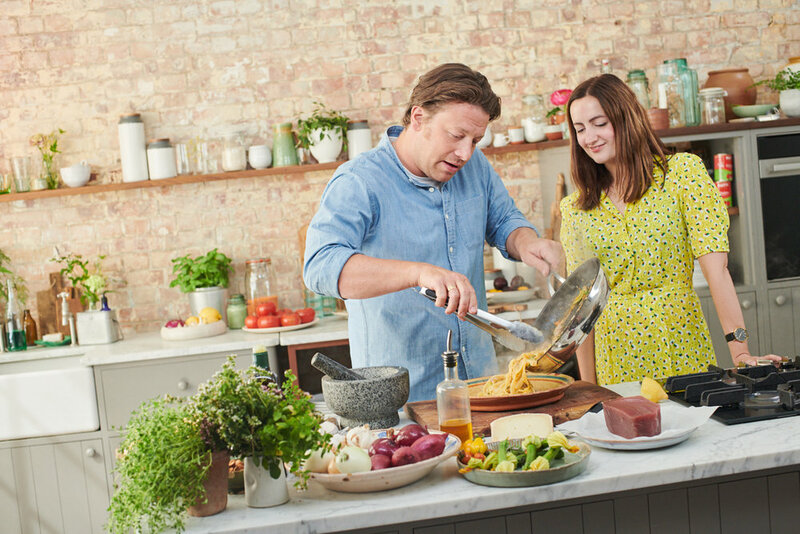 I recently shot Jamie Oliver cooking with journalist Rosamund Dean. It was a pleasure to work with such a pro. Jamie was cooking for the camera, running through stuff slowly, letting me know when a good bit was coming, and throughout being charming and cheeky. Years of TV programs and photoshoots have made him understand the process and work with photographers and film makers to get across his cooking in the best possible way. He is the original celebrity chef and he clearly very comfortable in front of the camera in the kitchen. So thats why I took him elsewhere for a portrait, in a more domestic / behind the scenes setting. 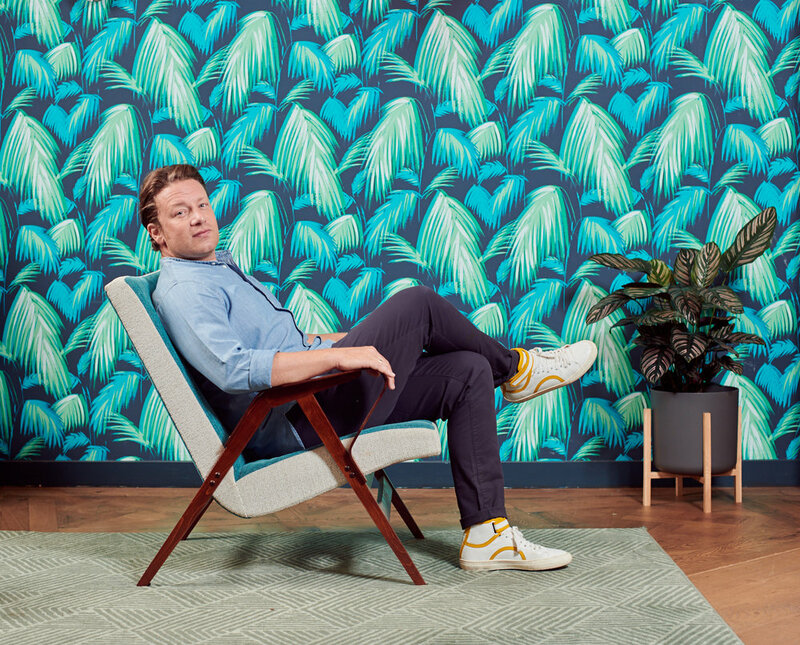 Grazia, who this was shot for did not disappoint, with a cracking layout and text over the green wallpaper.